Local health and social care services can avoid incurring over £3million annually by providing good quality vision rehabilitation support to people with sight loss, according to new research from RNIB. In the first study of its kind, RNIB commissioned the Office for Public Management (OPM) to conduct a cost-avoidance analysis of the value and impact of a local authority’s vision rehabilitation service. 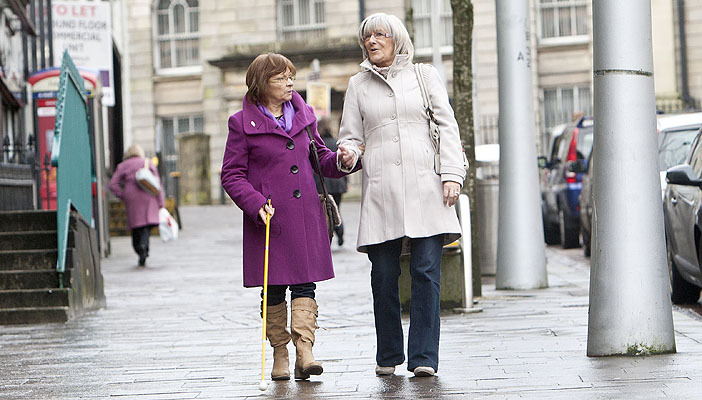 Under the Care Act (2014), all English local authorities have a duty to provide vision rehabilitation support for blind and partially sighted people. The research is part of RNIB’s See, Plan and Provide campaign, calling for improved access to vision rehabilitation services. It analysed Surrey Council’s vision rehabilitation service, provided by the charity Sight for Surrey. The total costs avoided as a result of Sight for Surrey’s vision rehabilitation service were more than £3.4million a year. Of this, services costing £3.2million would have fallen to the local authority or social care to pay. This included paying for home care, visits to Accident and Emergency or a GP, and transport costs. Service users, families and carers also benefitted, avoiding, reducing or deferring costs of £260,000 a year due to reduced care commitments. Margaret Willcox, President of the Association of Directors of Adult Social Services (ADASS), said: “At a time when social care budgets are under such intense pressure nationally, we welcome this research into the personal and system-wide benefits of vision rehabilitation. Dr Chih Hoong Sin, Director of OPM, said: “There can be a lack of appreciation of the full extent of the benefits generated by good quality vision rehabilitation services. “Our research shows that timely and appropriate support for people with sight loss not only improves the wellbeing of individuals and their families, but also prevents needs from escalating. This reduces pressure on a number of health and social care services, at a time when they are struggling to cope with constrained budgets and growing demand.